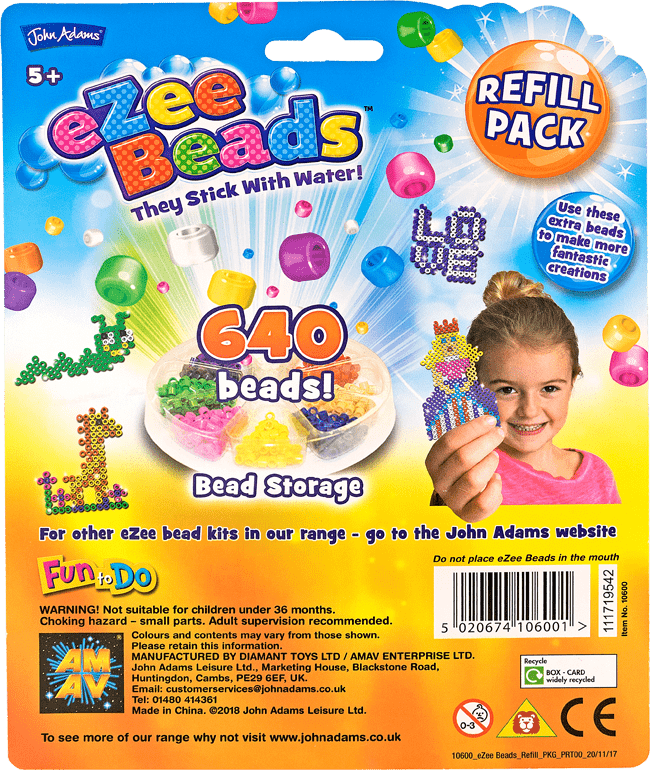 The eZee Beads Refill Pack includes 640 beads in 10 colours! Use the extra beads to make more amazing eZee Beads creations. 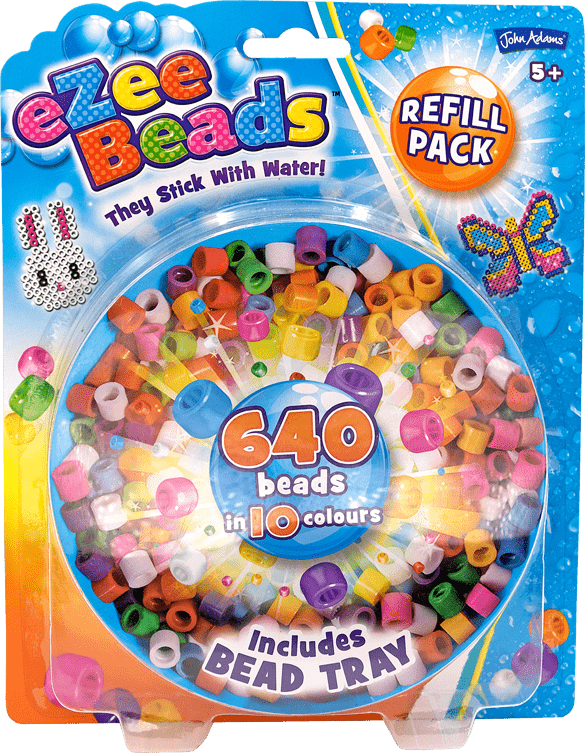 Includes a handy tray to sort your beads into colours.